Know that Pay It Forward button that's been sitting in my sidebar for way over a year? Go click on it to see what it's all about if you don't already know. 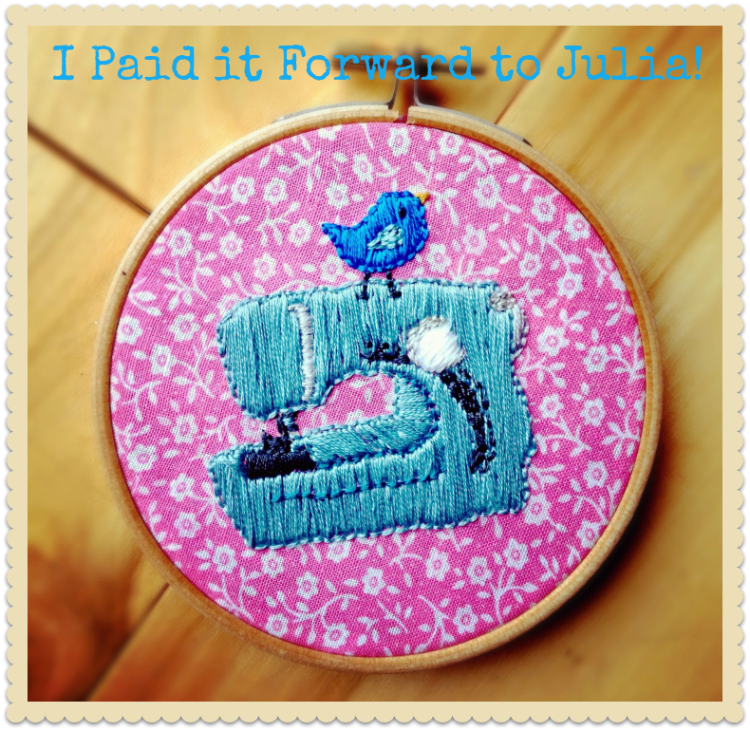 I made this for Julia from Blue-J Cottage and I took her blog header as inspiration for the embroidery design. I really hope she liked it! Fiona and Shelly, please bear with me! You haven't been forgotten, I'm just a really, really rubbish pay-it-forwarder... SORRIES!!!!! I, also, have been rubbish with my pay-it-forward, having also only sent one, so you're not alone! 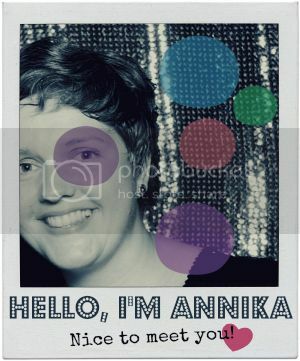 Annika! I LOVED IT! I just received it and it is amazing. It made me tear up a bit and we know how emotional pregnant ladies can be.... I cannot thank you enough for this. I was so excited to get some mail and when I opened it, my husband I am sure thought I was crazy, I was jumping with excitement and had to find a place to hang it....right away! You made the perfect P.I.F. Thank you for making it so personal! I am so grateful for a bloggy friend like you :) (BTW I'm sorry that I have been MIA for months... I was lacking inspiration and couldn't find a way to jump back into blogging. But low and behold with the 30 days of Thanksgiving I am back! Thanks Annika! I am soooooooooooooooo grateful and I soooooooooooooooo love it!